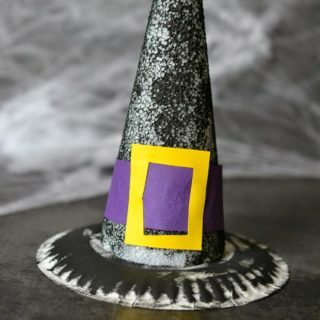 When it comes to Halloween crafting with our kids, they’re happy to do just about any project we come up with! All that matters to them is that they get their hands on something crafty and get to create something awesome and spooky. 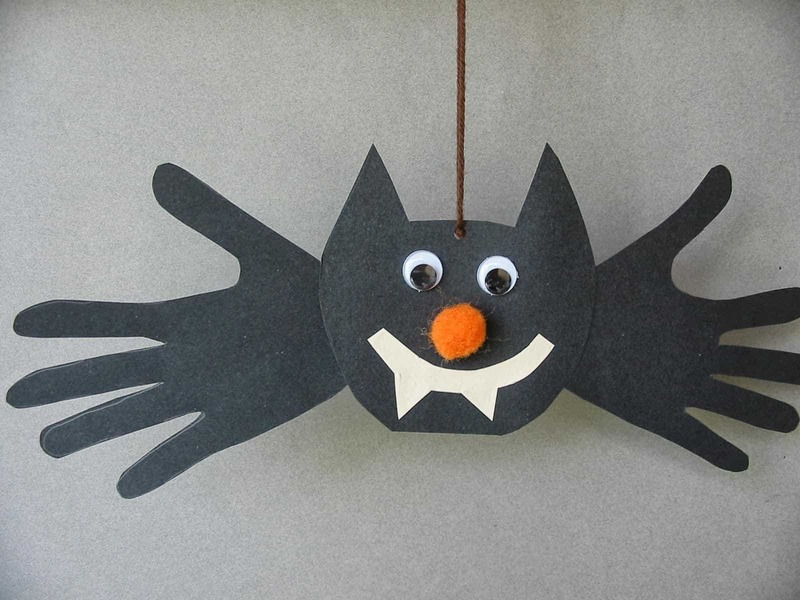 We’ve already crafted quite a number of fun classic Halloween characters already this season, but there’s one that we have yet to do but that we know they’ve been itchy to try out: spooky Halloween bats! 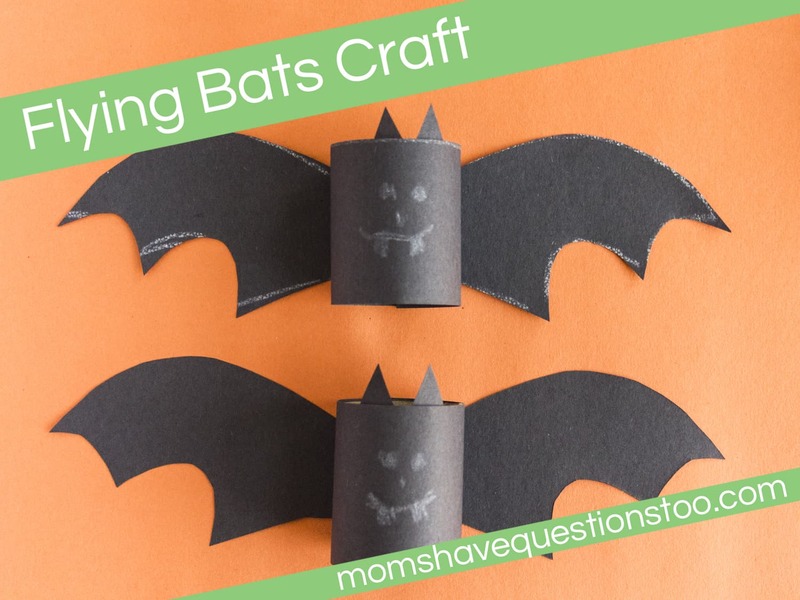 There are plenty of possibilities when it comes to crafting bats but we’ve already tried a lot of them in previous years, so we took to the Internet to try and find new ideas that our kids could get excited about! 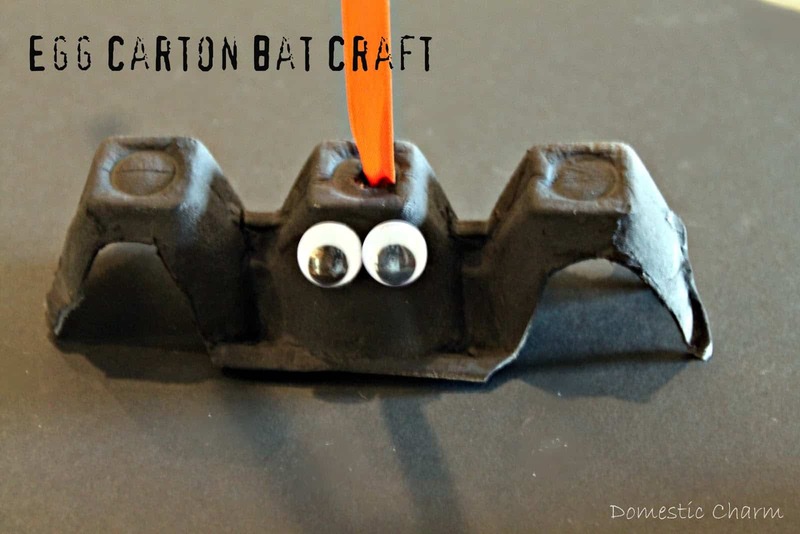 Just in case your little ones are just as excited as ours are about crafting these dark winged creatures of the night, here are 15 of the coolest and most kid-friendly bat crafts we’ve come across so far. 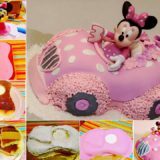 Have your kids always been cut-and-paste enthusiasts because it’s simple and fun but, at the same time, it’s quick enough that they get the satisfaction of finishing a project pretty quickly before they get bored? 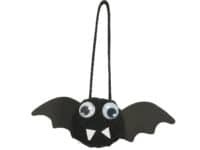 In that case, we have a feeling they’ll be huge fans of these construction paper bats from Eye Craft! 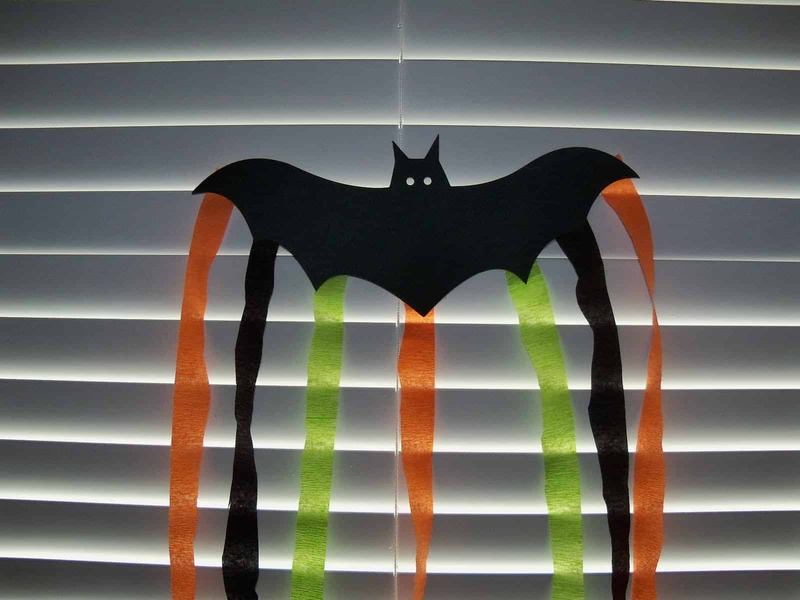 They suggest simply drawing and cutting out the shape of a bat from black construction paper and then (this is the best part) sticking lengths of Halloween coloured streamers on the back so they hang down from the wings like the spooky Halloween version of a rainbow. 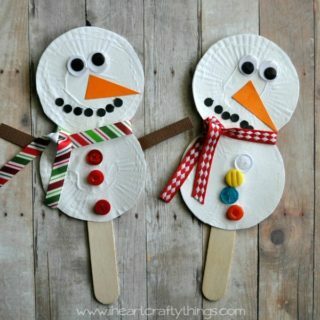 Have you always loved helping your kids crafts with simple supplies that are already at hand? We do that too because then they can dig out the crafts whenever they feel like it! 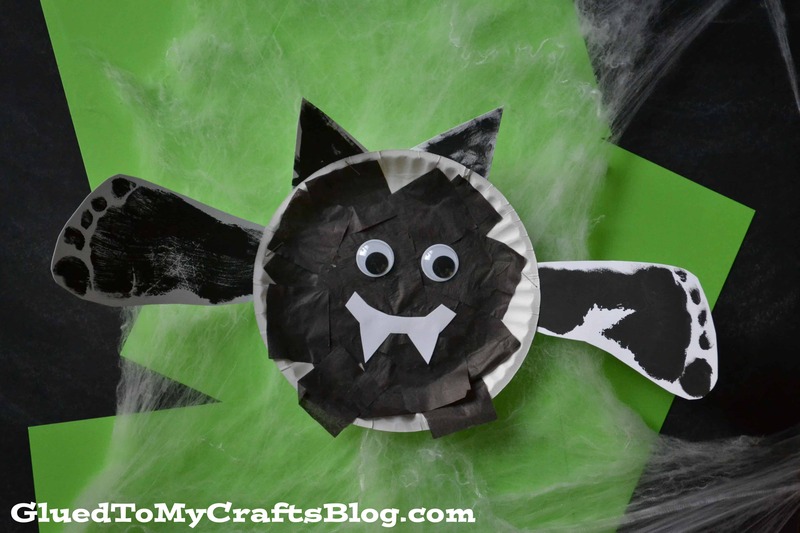 That’s why we loved this simple paper plate bat idea from Preschool Crafts 101. 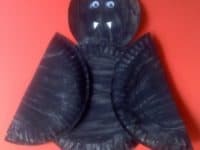 When you kids made these, they adored folding the plates in half to make it look like the bat is wrapping its wings around itself the way they do when they hang upside down to sleep. 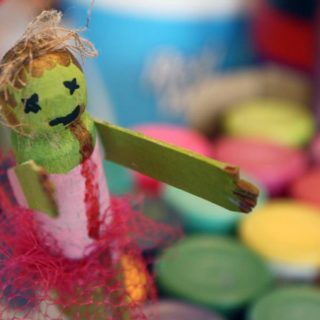 Have your kids always loved crafts that turn into toys when they’re finished the most of just about any DIY project you’ve tried with them? 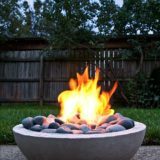 Well, those just so happen to be our favourite projects too, because they keep our kids busy during and after the crafting process! 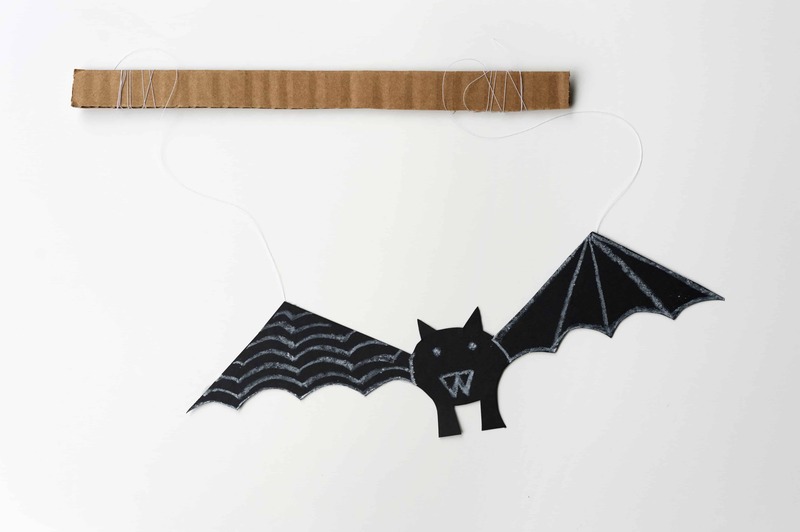 Made by Joel shows you how t make a cute construction paper and chalk bat and attach it with string to a strip of cardboard that can be used to move the bat around to make it look like it’s flying! 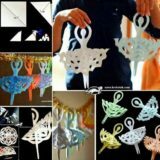 Have you ever made looped paper gliders that float through the air like gliding birds? 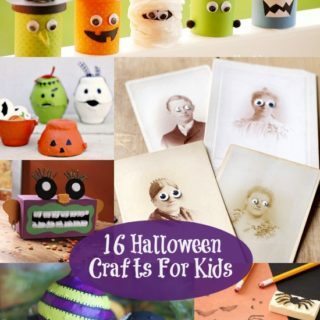 Well, just like any good crafts, those have a Halloween version! 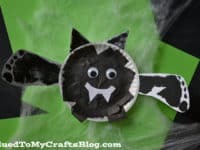 We love this tutorial from Moms Have Questions Too because it walks you very clearly through the steps for covering a section of toilet roll in black construction paper, cutting out some wings, and drawing on a little face to create a bar that will glide through the air almost like the real thing. 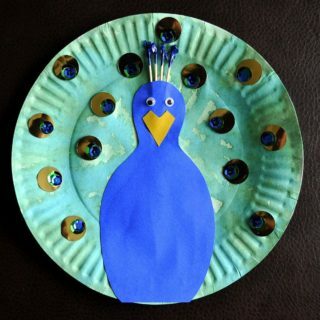 Were you intrigued by the idea of having your kids do some crafting with upcycled supplies that you already have in your kitchen but you don’t have any paper plates laying around right now? In that case, turn to your recycling bin and check for an empty egg carton instead! 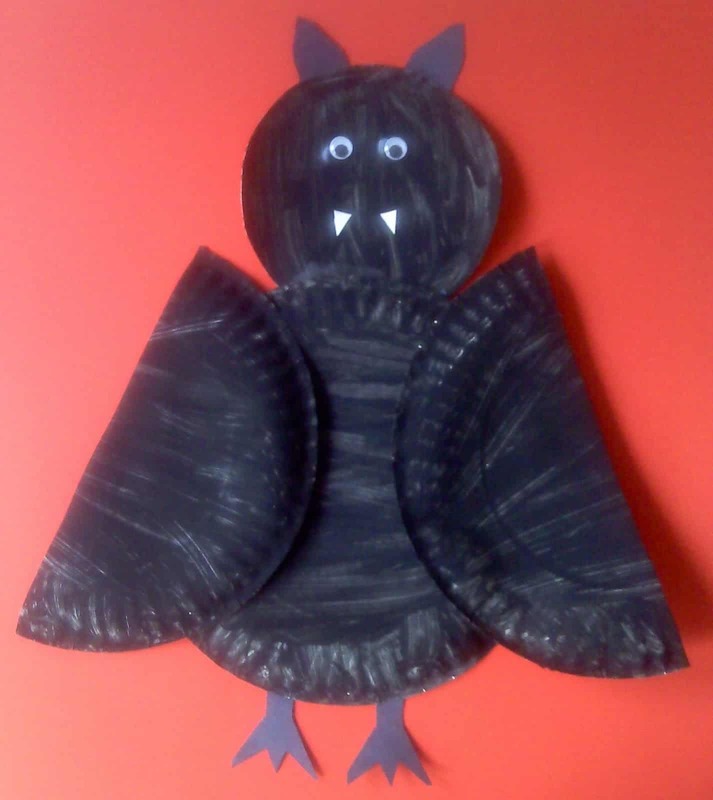 We love the way Domestic Charm turned a cut section of three into a bat by flipping it upside down, painting it black, cutting the two on the ends to look like wings, and sticking on some googly eyes! Have your kids always been big fans of puppets, no matter what kind they are? 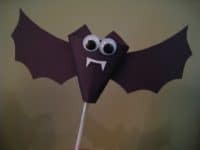 In that case, we think these adorable little popsicle stick puppets made to look like bats are precisely the kind of craft you’ve been looking for! 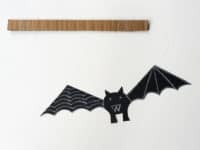 Almost Unschoolers shows you how to make the little bats that you’ll glue to the end of the popsicle stick out of black paper, but if you wanted something a little more durable, or maybe even just a little different to work with because your kids already craft with construction paper so often, you could use black cardstock or black foam paper. We love everything about October and this time of year, but if we’re being honest, Halloween is really all about the candy for us. Things get especially awesome when you combine the candy with the crafting! 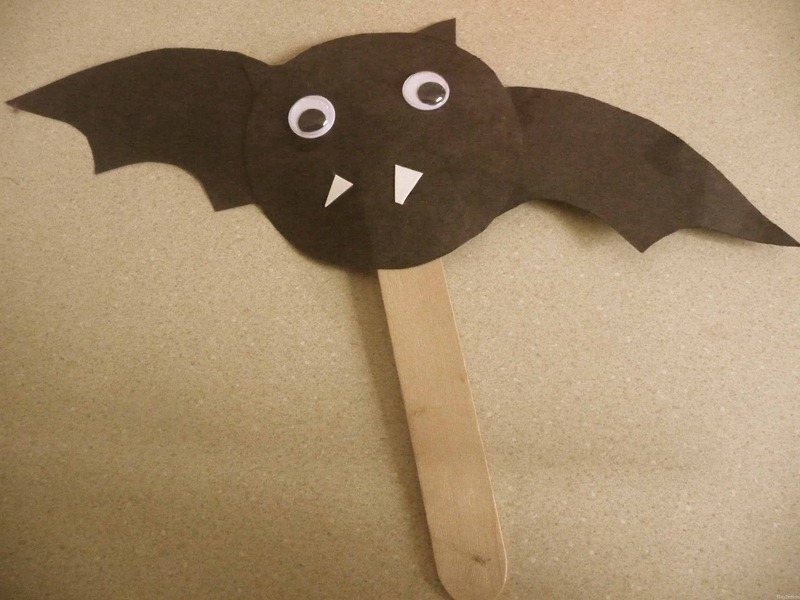 We usually help our kids get creative with different candy wrappers in preparation for Halloween at school so they can give their classmates little treats, so you can imagine how much we loved this adorable bat lollipop idea from 4 Crazy Kings! Their tutorial shows you how to wrap a bit of paper in a cone-like shape around the sucker and then add wings and eyes until your bat is complete. Handprint crafts might just be one of our kids’ very favourite kinds of DIY projects to do. Even if they’re not getting to drop their hands in paint and actually made a handprint, they’re still always excited at the chance to trace their hands and turn the cut-out shapes into something new and creative. That’s why this cool hand tracing Halloween bat idea from Creative Preschool Time was so popular in our house! We also can’t get over how cute the idea of using a pom pom for the nose is. 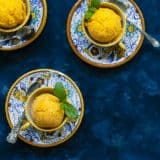 Are your kids still in the kitchen demanding craft time but you’re scrambling to find them supplies because you don’t have paper plates or an empty egg carton? Then take a quick peek in the baking cupboard instead and see if you can find unused cupcake liners there! 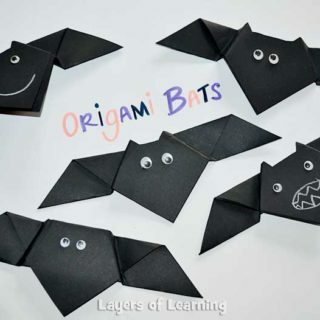 Family Education shows you how to make a simple bat shape using flattened and folded liners. 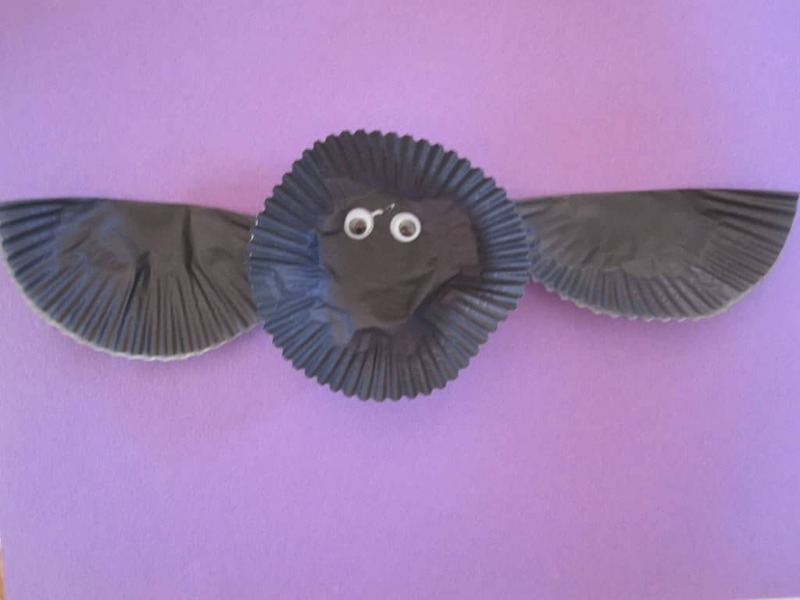 Theirs are black like bats but we know not all cupcake liners are, so either get the markers ready or simply make a series of hilarious technicolour bats! 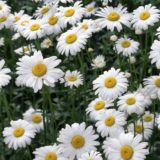 They won’t look very Halloween-like, but at least the kids will be having fun and getting creative. Did you like the rounded shape of the gliding bats we showed you earlier, but you think the idea of cutting, measuring, and covering the tubes might be a little too much because your kids are still very young? 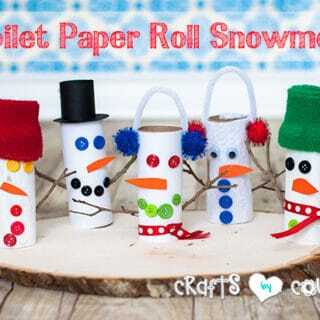 In that case, try simply making toilet paper roll bats for fun! 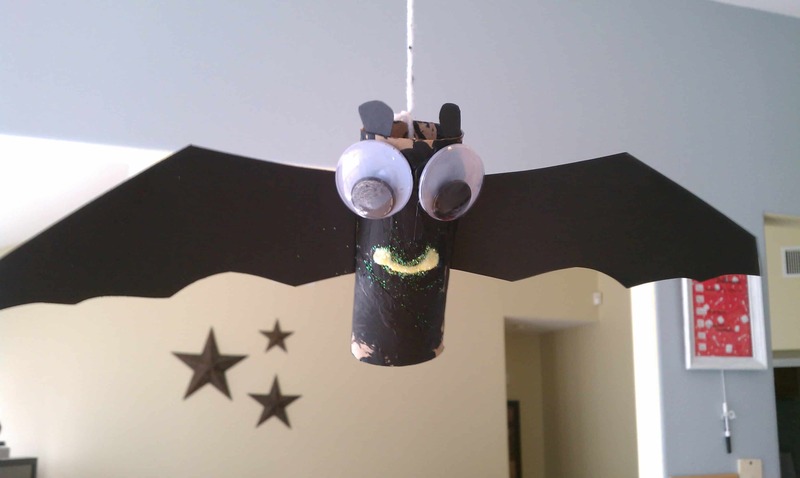 We love the way Texas Monkey added sparkles to the bats’ smiles and hung them from string so they look like they’re flapping around the house. 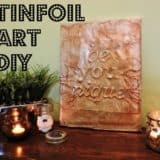 Are your kids really the kinds of DIY enthusiasts who love going all out and maybe even making a bit of a mess when it comes to their crafting? 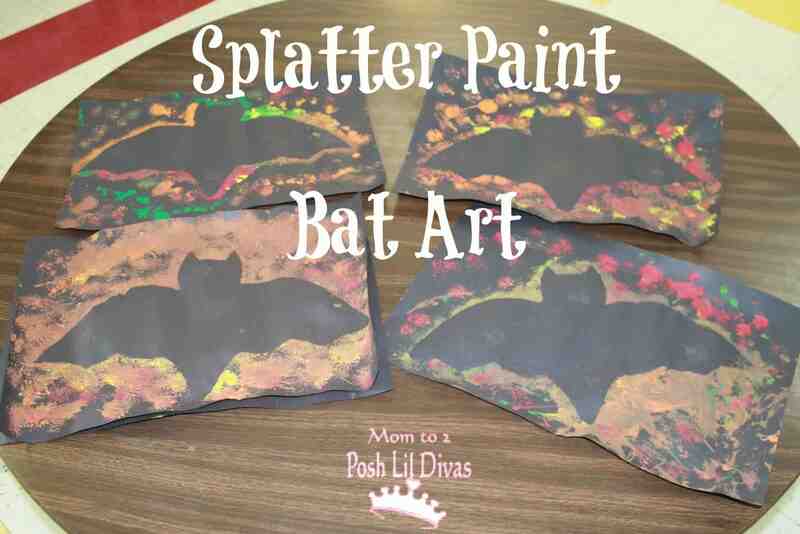 Then we have a feeling they’re going to completely adore this splatter art idea from Mom to 2 Posh Lil Divas! They suggest cutting out the shape of a bat and laying it down on another piece of black paper. 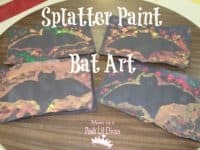 Next, have your kids paint, finger paint, or splatter the page all around the bat so that the whole area gets some colour and then remove the bat cut-out from the page entirely when it’s all dry. 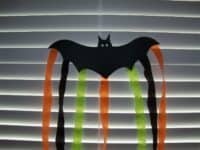 You’ll see that the bat created a negative space in its own shape with a wash of bright colours all around it! 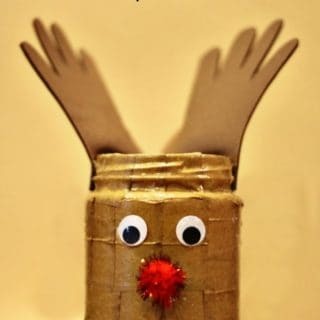 When we were kids, origami was all the rage. We started making origami shapes when we were quite young and we were trying to fold ourselves quite complicated projects in no time. It’s not the easiest craft in the world, but simply giving it a try is so much fun that even our youngest kids have a blast with it. 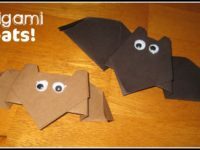 Luckily, there are origami patterns for every occasion, and Halloween is no exception! 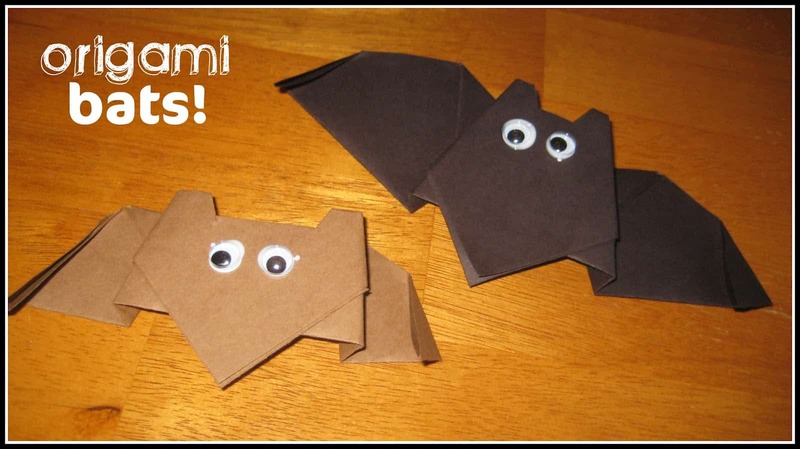 Find the steps for making your own versions of these adorable folded paper bats on WikiHow. 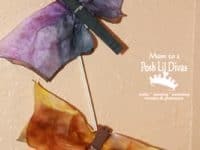 Were you totally intrigued by the idea of helping your kids make bats out of paper plates but you know they like to really dive in with all the techniques they can get their hands on when it comes to crafting, so you’d rather a pattern that puts a few other ideas to work at the same time as well? In that case, we have a feeling your kids will absolutely love this version of a paper plate bat that uses painted footprint cut-outs as the wings! See how it’s done in more detail on Glued to My Crafts. 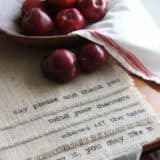 If you’ve never done coffee filter dying or “water colour” crafts before, then we’re sorry to tell you that you’ve been missing out! No matter the season or what kind of character you’re making, watching a coffee filter absorb and spread colour is an awesome thing that your kids wont’ be able to get enough of. 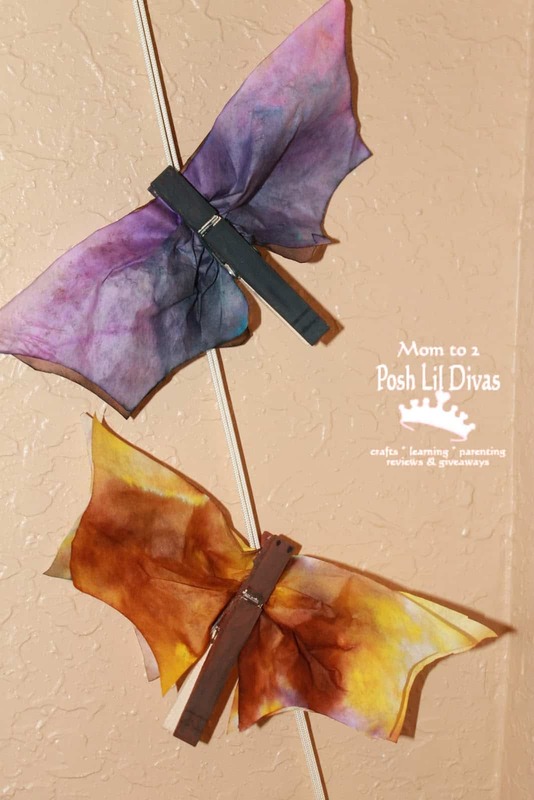 Mom to 2 Posh Lil Divas shows you how to use that technique in a Halloween context by pinching a folded coffee filter in a clothes pin, cutting the edges to make it look like wings on each side, and adding whatever fall colours (or whatever colours at all, really) that you see fit! 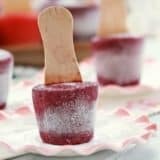 Whether you’re making the pom poms yourself from scratch or buying pre-made pom poms at the store, crafting with them is always an absolute blast. 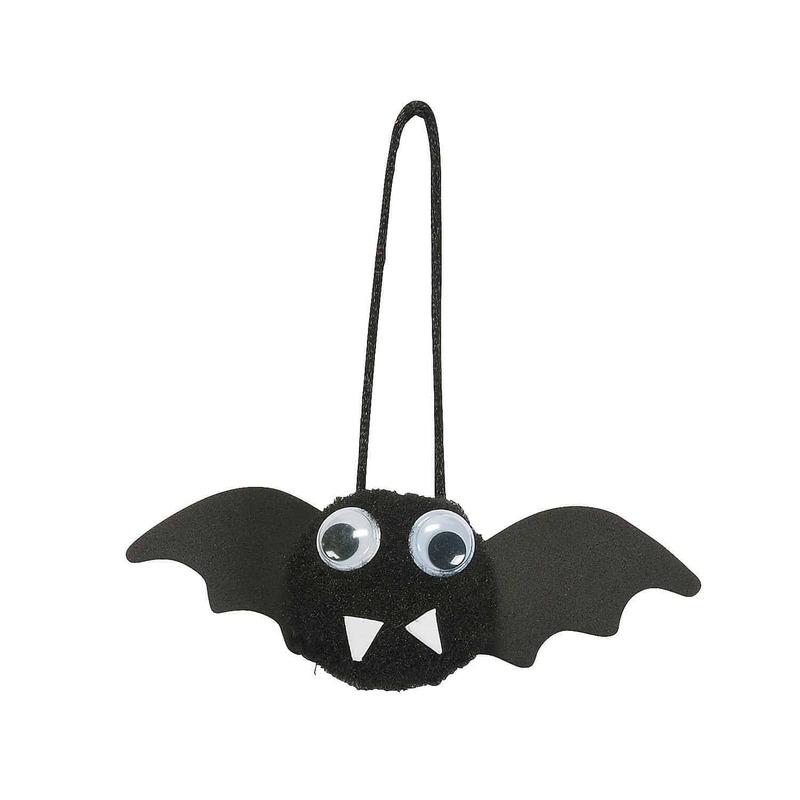 We find that no matter how scary or serious the basic idea we start out with is, the final product of a pom pom craft is always hilarious and adorable and these funny little bats from Oriental Trading are no exception. Their tutorial shows you how to make a hanging pom pom ornament complete with tiny fangs, googly eyes, and foam or paper wings!